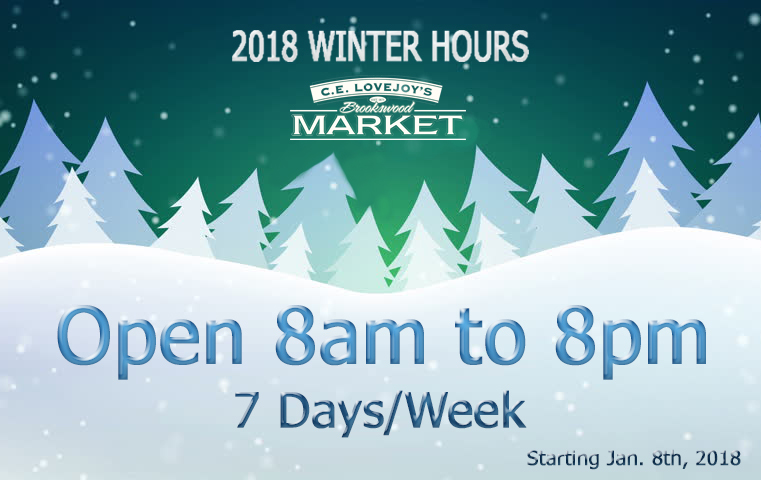 Winter Hours Begin on 1/8/18 – We’ll Be Open 8am to 8pm Every Day! Starting on Monday, January 8th, 2018, we’ll be switching to our Winter Hours! We will be open from 8am to 8pm every day of the week! Come by for groceries, a pint, growler fill, hot deli food, or one of our fantastic dinner kit meals to prepare at home. Thank you for shopping with us and supporting your neighborhood market.